but none is more spectacular than a diamond, the birthstone for April. We all look forward to spring for the bright sunshine and rain drops that glisten in the sun in April to form beautiful shimmering rainbows of color. This combination of sunshine and rain brings May flowers. The birthstone for May is emerald like the brilliant green but fragile new grass. How to select the right diamond for you. Understanding the four C’s of diamonds. Diamonds and all gemstones are weighed in carats. One carat is 1/142 of an avoirdupois ounce or 1/5 th of a gram. That carat is divided by 100 parts called points. An example is 150 points = 01.50 cts., or one and one half carats. A good point to remember is that diamonds that weigh .98 or .99 points sell for far less than a full 01.00 carat of the same color and clarity. The color scale for diamonds created by Gemological Institute of America( GIA) starts with D color which is colorless and goes to Z which is a brownish yellow. The absence or presence of imperfections in a diamond determines the clarity grade which ranges from Flawless which is blemish free inside and out to the grade of I3 that would have large imperfections that have an effect on the appeara nce of the diamond and are usually found in outlets that advertise low price. With low price in most cases comes unacceptable quality. The angles and proportions of diamond determines the cut grade. The finest and most brilliant round diamonds are cut to ideal proportions created by Marcel Tolkowsky (uncle to Lazare Kaplan). Diamonds of this cut are unsurpassed in brilliance by the most advanced light measuring equipment. 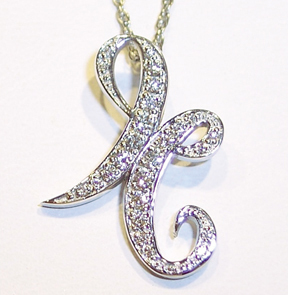 Diamonds of lesser cut can sound very appealing in price but don’t even come close in beauty. 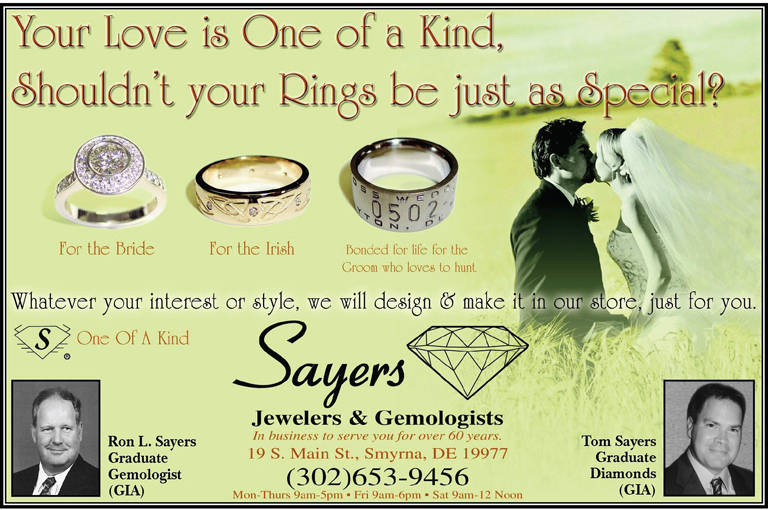 At Sayers, you talk to a Graduate Gemologist trained at GIA. We are able to show you how the other 4 C s interact with each other to give you the maximum brilliance and beauty and size to fit your budget. Some diamonds also have GIA or AGS grading reports. Although there are many other companies that advertise grading reports, most others are not as consistent or accurate. It is the job of a good Gemologist to compare the diamond to the grading report for accuracy and guard against cutting details not listed on reports. Shape is another consideration in selecting a diamond. About 75% of all diamonds cut are round. Round is the most brilliant of all cuts and the most versatile because it can be set in any type of lady’s or men’s jewelry and compliments any age group from infants to seniors. You may prefer a fancy shape such as princess, cushion, asscher, oval, or many others but bear in mind that these shapes like clothing fashions come and go in popularity. You can always remount a round diamond into the latest style ring. Don’t trust a mouse to select your diamond. You might get trapped. • To the question, How can we make your shopping experience at Sayers more enjoyable? You already have. Thank you for everything. The custom ring is beautiful. ~ Melissa B. • Sayers has always been a wonderful store where I picked out my china when I was young and have always felt it was a special place! 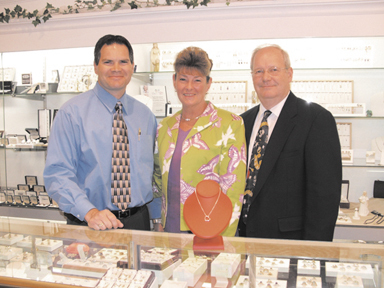 ~ Joyce W.
• We are always pleased with the quality of your jewelry & the great service. ~ Pat C.
• Wayne S. from Dover said he wants you to know why he shops here. 1 – Excellent Staff, 2 – Quality merchandise, 3 – You give back to the community. 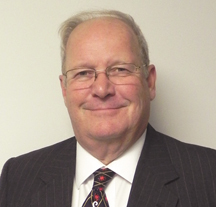 Publishers Note: I have never met a more knowledgeable jeweler than Ron. He gave me a wealth of education to make sure I knew how to choose a diamond. And the selection is something to behold. 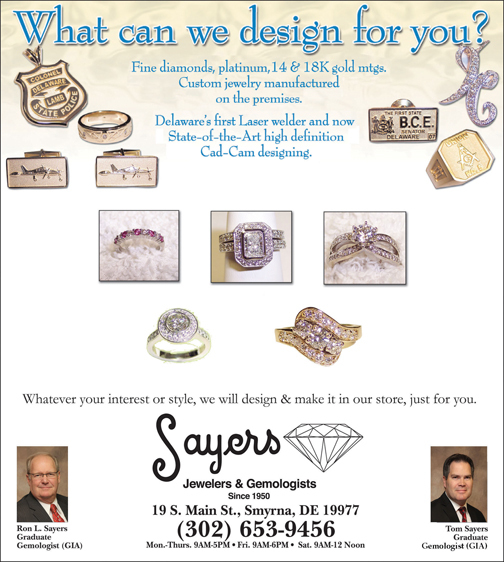 If you want the best in jewelry checkout Sayers Jewelry Store. ← Previous Story Eyelash Extensions for Your Honeymoon!